Available in English, German, Spanish, Italian, French, Norwegian, Swedish, Russian, Danish, Chinese simplified, Polish, Chinese (traditional), Czech, Hungarian and Dutch! Registered users have unlimited access to our chat support, forum, mail support and the latest bugfixes. 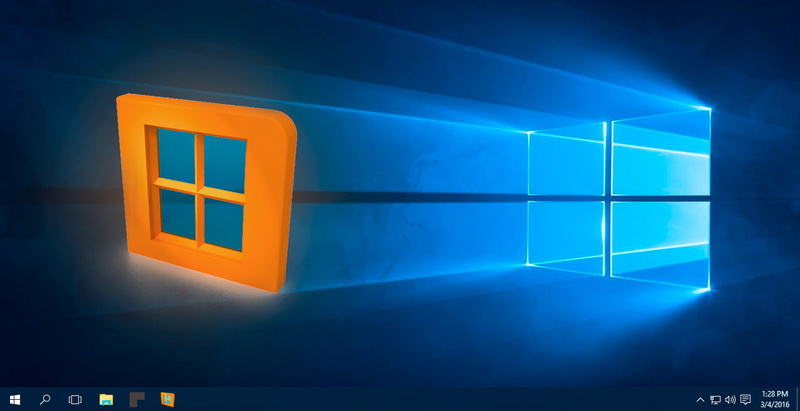 WinNc runs on all modern versions of Windows. Trial version runs unlimited amount of days. You can buy WinNc anytime you like. 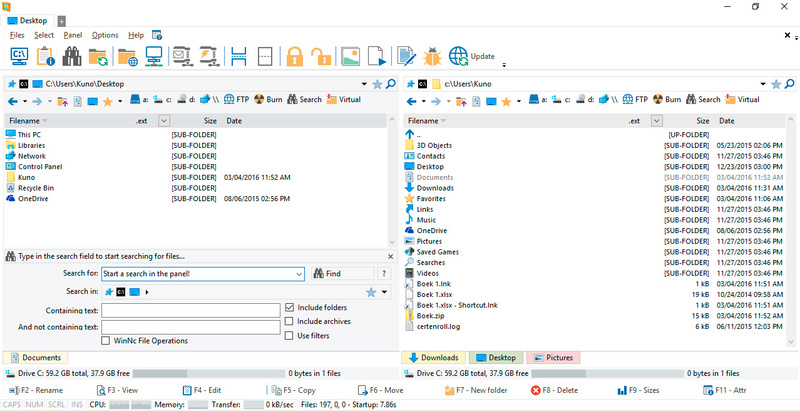 WINNC IS A NORTON COMMANDER FILEMANAGER FOR WINDOWS. 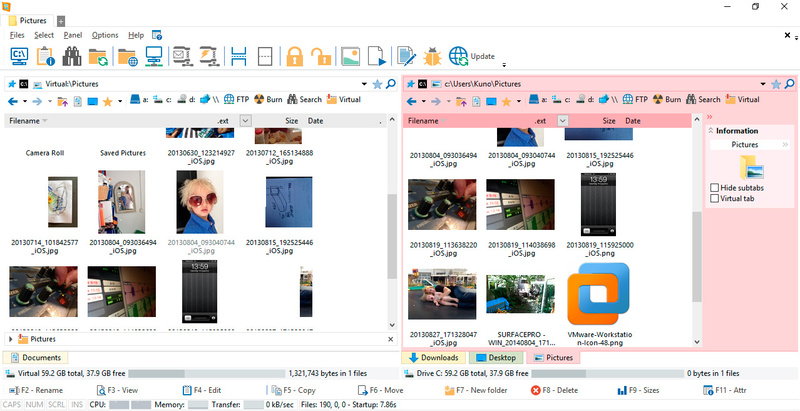 WinNc is still downwards compatible with Windows 8 and 7 and uses the modern Windows 10 flat interface. 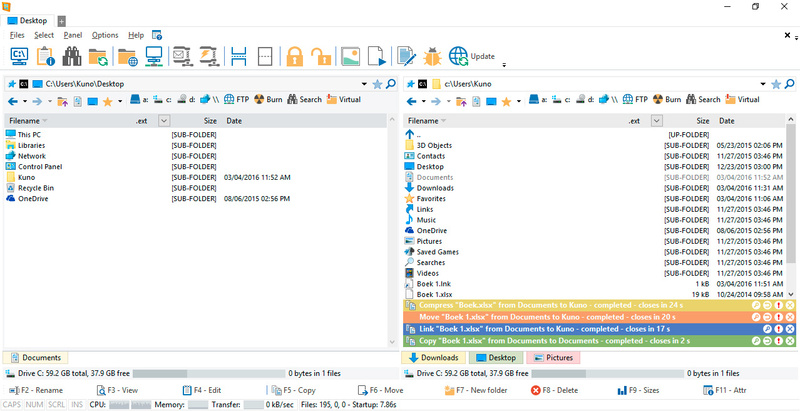 This NC clone file manager is inspired on the dual panel idea of the old file manager Norton Commander. 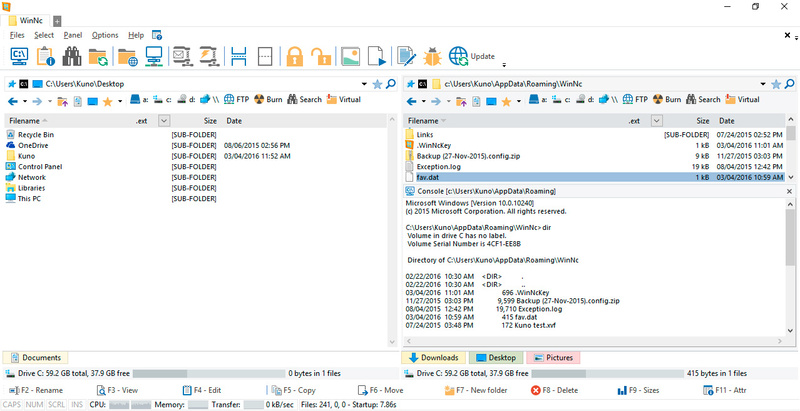 It has shortcuts to all the Windows 10 special folders and the tabbed interface allows you to organize your data by project. 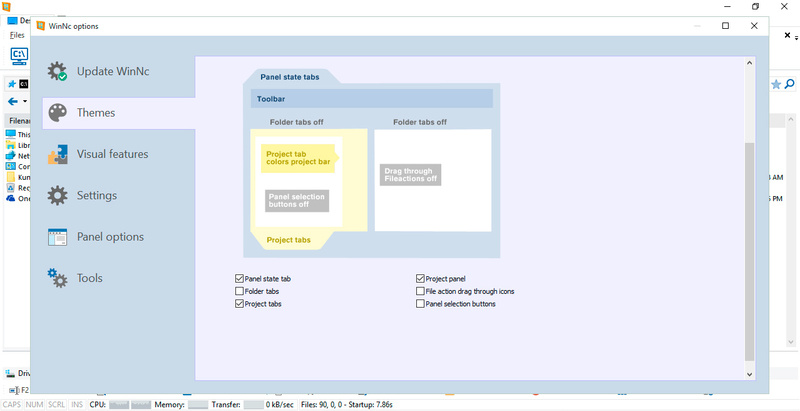 Projects can include virtual links to files and folders from all over the disk that are related to that project tab. 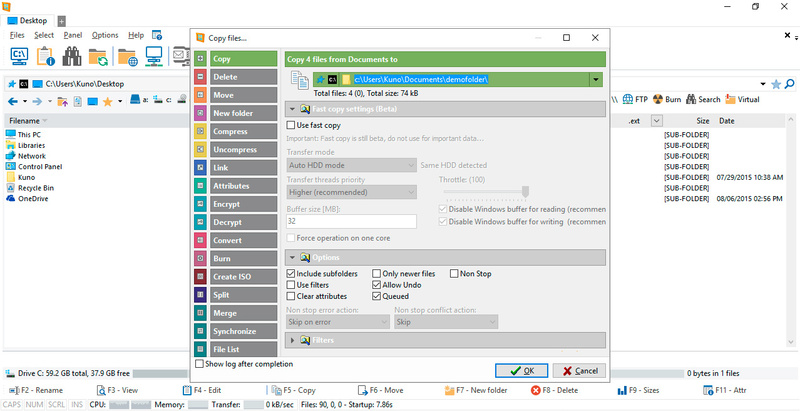 With a new Windows 10 flat interface WinNc can do all the basic tasks you expect from a file manager like copy, move, delete, compress, uncompress and create links. 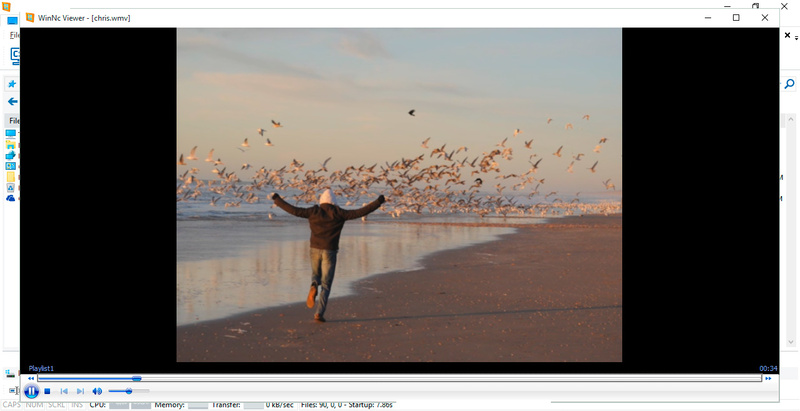 But WinNc also converts audio, burns files on DVD and cd, creates iso files and you are able to synchronize your files. 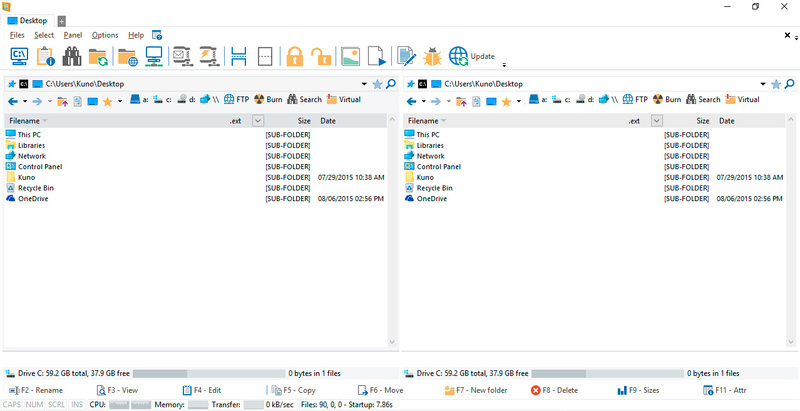 From zip files, it allows the creation of self extraction .exe files. 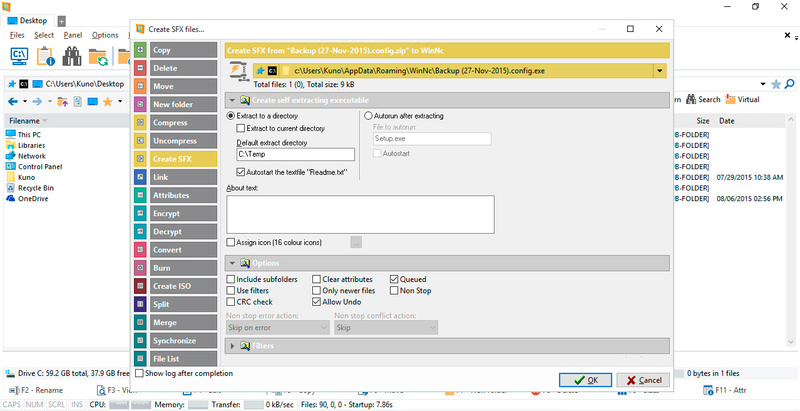 WinNc uses logical colors for the file actions so you can see if a file is being copied (Green), being moved (Orange) or being packed (Yellow). 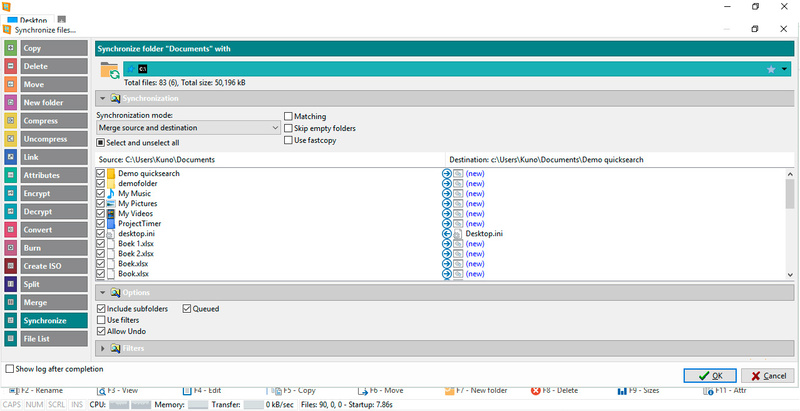 WinNc allows you to perform multiple tasks by setting the maximum parallel tasks to more than one task. Otherwise WinNc will wait to start the new action until the previous action has finished. 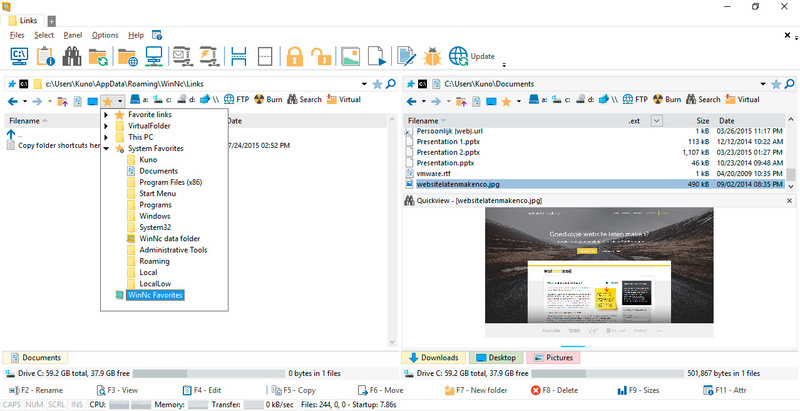 There is a built-in file viewer supporting all the popular formats. It has a built in slideshow viewer, an audio player and a video player for quickly browsing through your media. 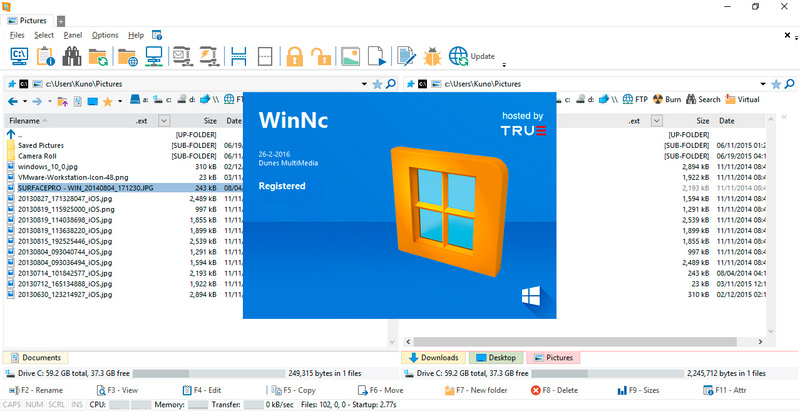 WinNc can be run for unlimited time and can be freely downloaded and distributed from our website. 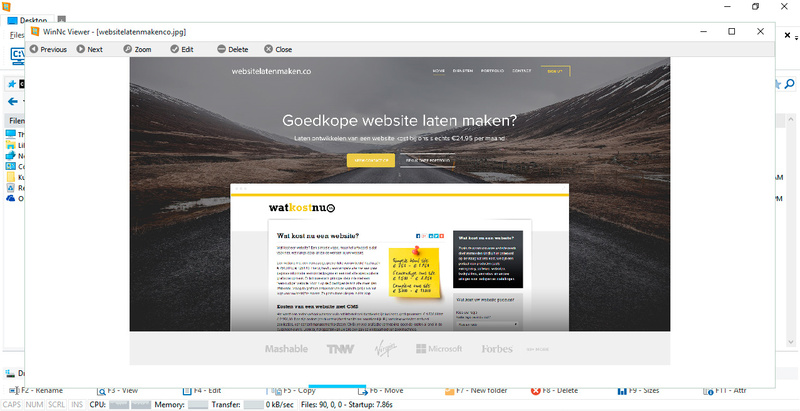 Registering costs € 29.95 for a single user license. Registering will grant you support by mail and from the help desk and will unlock the options panel for more features and customization. Registering will allow you to live-update your version through the internet. Multiple licenses and company licenses are available through the online store.